Blogging is taking a back seat in my life right now. So many things going on in real life...school started, volunteering a lot of Compassion events, a big sewing project, and a big baking project! Phew! But I don't want to miss out on sharing with you what I wrote to my sponsored children this month. I was hoping to put together a few Christmas items to mail to the kids, but I will have to put that together in a couple of weeks once these crazy few weeks have passed. Compassion makes it so easy to write to your child online. Once I had signed into my account and had written the first letter, it was really quick and easy to have letters sent to my other Compassion children. Since I was sending the same letter to each child, I was able to duplicate the letter, just change the name and template, and click send. It really is that easy! When was the last time you wrote to your Compassion child? Has it been a while? If it has, I encourage you to log into your account and write to your sponsored child right now. These children love getting letters from you. They are encouraged by your words and your prayers. Not sponsoring a child yet? 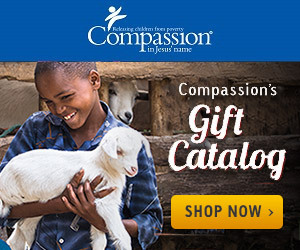 For $38 a month, you can choose to be a blessing to a child. I pray you choose to make a difference today. "Splendor and majesty are before Him, strength and beauty are in His sanctuary"
Shout joyfully to the God of Jacob"